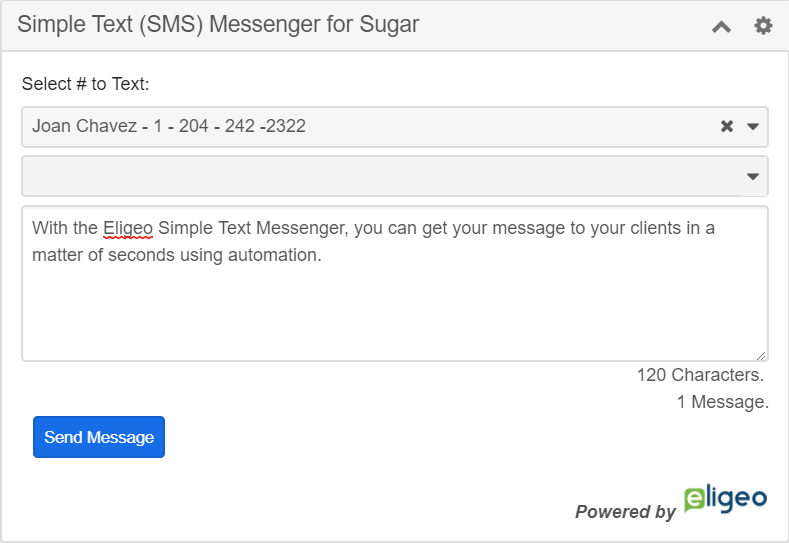 Eligeo’s Simple Text (SMS) Messenger for Sugar is the ideal way to deliver text messaging for SugarCRM. We’ve developed a simple tool that integrates within the popular communication service Twilio to make it easy to deliver text messages quickly and easily. Eligeo also offers a number of consulting services to help you develop the perfect communication workflow using SugarCRM. You can add a dashlet to your Leads, Accounts and Contacts records to allow you to quickly send out messages to your contacts. Any phone number listed on the record view will automatically populate in your dashlet. We’ve also built simple templates that you can customize and choose from right from your dashlet. All of your text messages are stored and located inside of a SMS Messages module. From this module you can schedule texts to go out in the future. A quick and easy way to setup reminders to contacts to make sure you don’t forget to follow up with them. 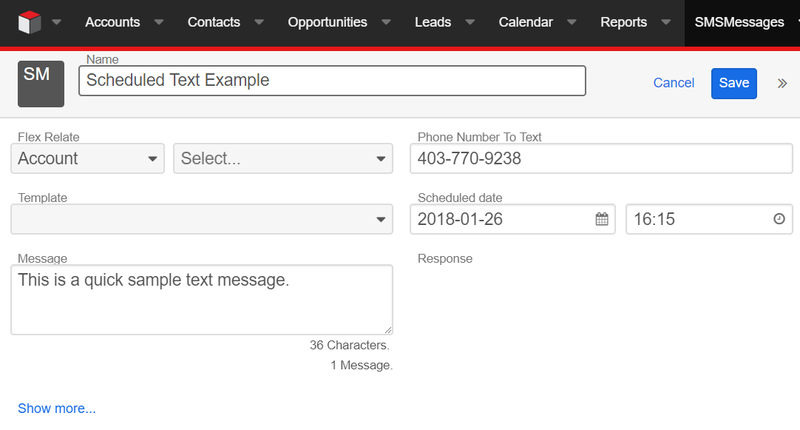 Text messaging for SugarCRM is easy. You can use either Sugar’s Advanced Workflow (as part of Sugar Enterprise) or any custom logic hook within Sugar. The Simple Text (SMS) Messenger for Sugar is built around the Sugar framework so that you can easily send out timely messages or automated drip marketing campaigns.